I’m extremely excited to announce that Drew at Drew’s Movie Reviews and I are working together to host our next blogathon. It is kind of a follow-up from last year’s Ultimate 80s except we’ve moving to the next decade and its the Ultimate 90s Blogathon! The 90s had so many great movies. There were fantastic Disney movies, like Beauty and the Beast or The Lion King. Some fantastic chick flicks and teen comedies also made their appearances, like Clueless. It was the decade that some amazing directors had brilliant additions to their works like James Cameron and the box office hit Titanic (not to mention a young Leonardo diCaprio); Tarantino and Pulp Fiction; Spielberg and his amazing dinosaurs in Jurassic Park took over. How can we forget the chilling Seven by David Fincher? The list just doesn’t stop because we know there’s also comedies and family movies like Mrs. Doubtfire. Just listing off these titles makes me excited to talk about them. Here’s our question to you: What 90s film did you love? Which film started your love of the 90s flicks? What movie would you suggest as a starter for jumping back in time to the 90s? Ultimate 90s Blogathon has the same guidelines as last year. For those just dropping by, let me explain. Ultimate 90s Blogathon celebrates the iconic films of the 90s to you. It can be a movie you love, or a movie you grew up with, or one of your favorites that you watch over and over again. The only rule is that it has to be in the 90s. We like to keep things simple! 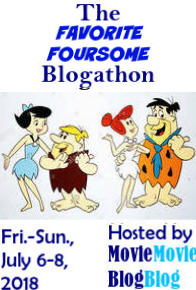 The blogathon will start on February 20th, kicked off by myself and Drew. We will have three weeks for everyone to sign up and send us your reviews by February 13th. However, we do know that everyone is also very busy so the deadline can be extended as long as you tell us in advance so we can plan accordingly. 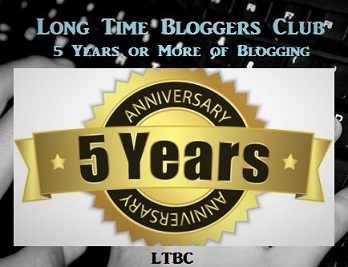 Please remember to submit the reviews to us so that we post it on our respective blogs. If you intend to post it on your site also, we can match up our dates and schedule and work it out. We really hope that you can participate! You can tell us whether you’d be joining in in the comments below or drop us an email at kim.tranquildreams@gmail.com or to Drew at drewt510@gmail.com. We’d love for your choice to be a surprise if you participate so you can email us your movie selection. Also, we do say reviews but if you’d like to do something else, feel free to do that as well.